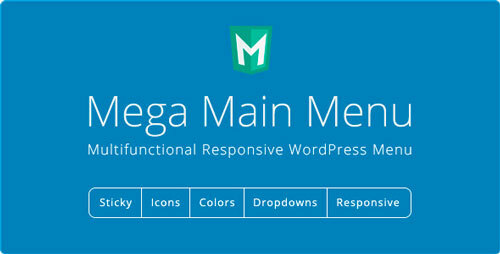 Awesome responsive menu plugin. Features: icons, sticky, mega dropdowns variations, custom skins, fully customizable. You can place any content in dropdowns: links, text, images, widgets and shortcodes. Custom dropdowns so easy with “Mega Main Menu”.